Matco-Norca is pleased to introduce our latest AWWA C515-15 valve offering, the 225 Series valves. These valves are manufactured to the latest AWWA C515-15 standard, plus they are UL listed and FM approved. NSF-61/NSF-372 certifications are verified by UL Water Quality. This 300 PSI ductile iron body, non-rising stem, resilient wedge valve is made for all potable water applications. With a full ten year factory warranty and stock throughout the U.S., the 225 series valves are sure to be a main stay of your municipal products offering. 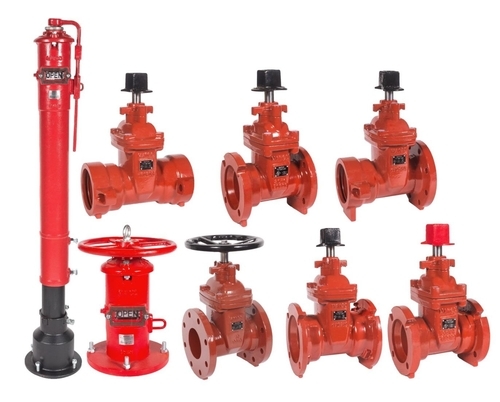 Additionally, the valve may also be used as a fire main gate valve in any fire line service. It can be fitted with a post indicator plate and used as a post indicator valve. We also offer both vertical and wall mount post indicators!